April Scootering Mag had this in the small ad's. 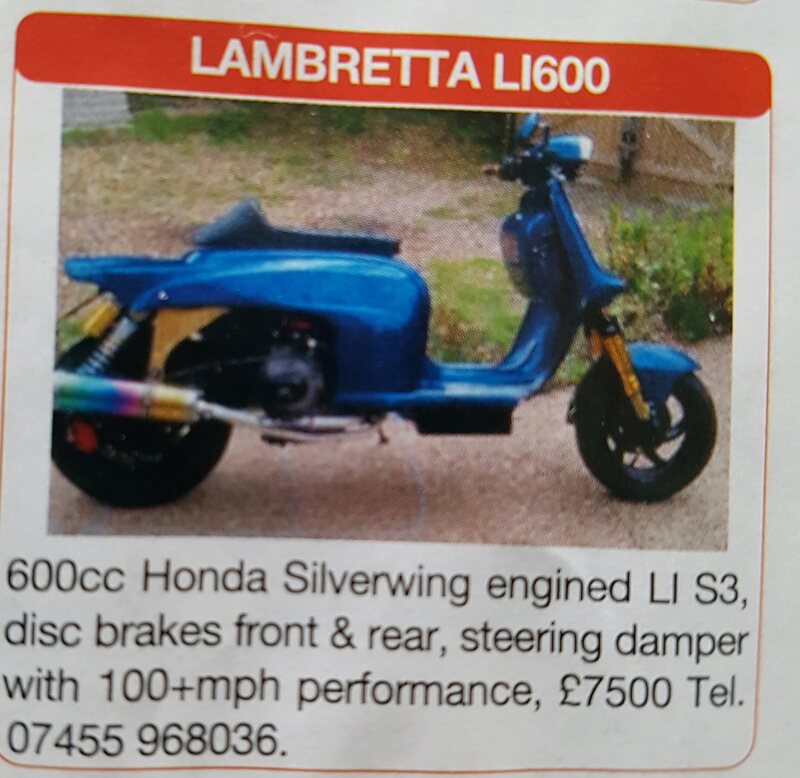 I can't decide if it's ruined a good Lambretta or a good S'wing & for the asking price I won't be finding out. What a monstrosity! Neither fish nor fowl. Why would anyone buy such a stupid looking heap?. My wife saw the Yamaha Jog frame and panels hanging in the garage and she goes "Why dont you put the Swing motor into that frame? ", not knowing it was a 50cc frame! She's seen some weird conversions from the Honda Ruckus club. I dig that Lammy with the Swing motor. If done right you know that thing is silly fast! Awhile back someone put a 400cc Burgman motor into a 50cc Yamaha bug-eye! It was so nicely done it "almost" looked factory! I just dont have the skills to do something like the Lammy or Zuma. Mine would snap in half and kill me! Years ago there was a paper on putting a swing engine in a snowmobile. The details on the upgrading of the engine (bore enlargement and turbocharging) served as a blueprint for a number of people to increase the output of the engine.